Young beans are sweet and tender and sown on bed starting from April to be ready harvesting by June to september. Regular watering is not needed until prolonged droughts. 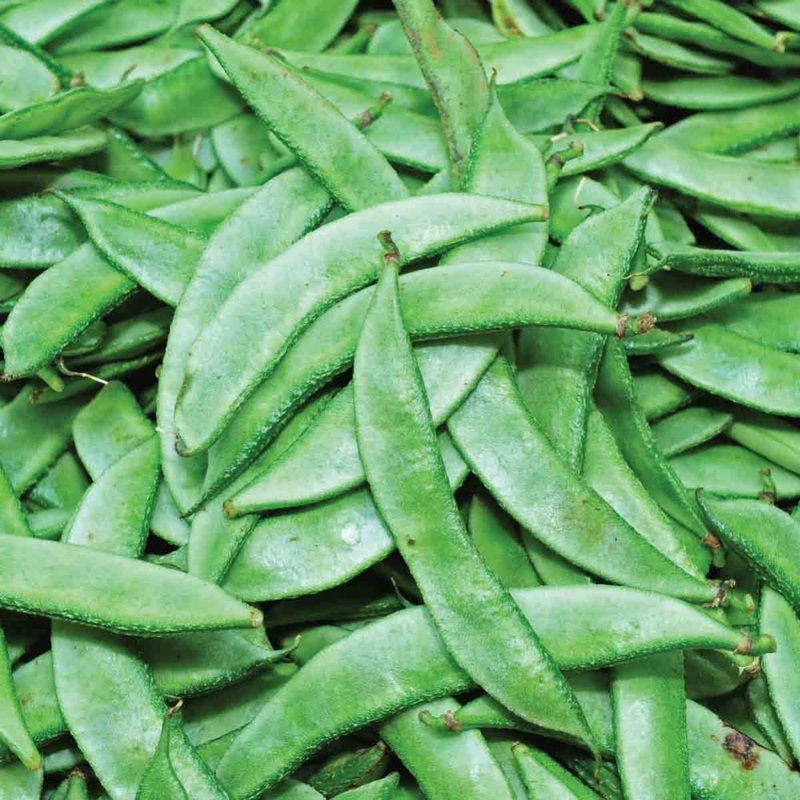 Introduction and Uses: Broad beans are also known as Fava beans. Eaten raw, these are flavorful, meaty and provide a dose of fibre, protein, potassium, and vitamin B. 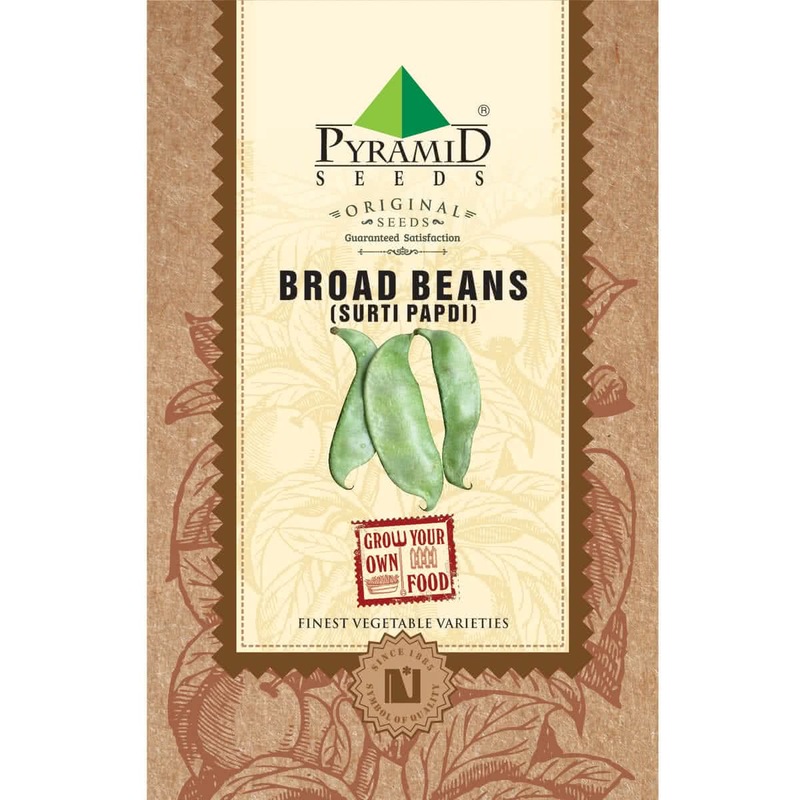 This beans variety is rich in Folate, Potassium and Zinc; and are extremely beneficial for health. Sow 2 seeds at the centre of the pot. On raised beds, sow two seeds per spot in a spacing of 2 x 2 ft.
Push the seeds a little in the soil medium with your fingers & completely cover them with surrounding soil. Water the sown seed bed immediately by a light shower using a watering can. Sprouting Stage: Seeds will germinate within first 6-8 days & tiny sprouts will be visible. After the second week, keep only single seedling at one spot, cut off the weak, small & lagging seedlings with a pair of scissors. Sunlight: French bean plant requires full sunlight. Therefore your raised bed should be made at a bright sunny spot. Keep the French bean container under open sunlight. Watering: Water your potted French bean plant every alternate day in winter & every day in summer. Water at the soil near the plant. Use a watering can to make sure that the plants get water in the form of a shower & not by a single flow. You can also make provision for watering by drip irrigation system for your raised beds. Trellis: Surti papdi plant is a bushy Vine & needs plenty of space to grow. So develop a strong trellis support up to height of 5-6 ft, by using locally available material like pipes, bamboo, ropes, wires etc. for your Surati Papdi plant. Manuring: As mentioned earlier, add good quality organic manure in the soil with 2:1 ratio before sowing seeds. organic fertilizer. can be well rotten cow dung manure, farmyard manure, compost or vermicompost. Top Dressing: When your French bean plant is more than 45 days old, provide one tablespoon of 15:15:15 (NPK) fertilizer per plant or mix handful of Vermicompost in the soil around each plant. Harvesting: (45 to 50 days from sowing) Surti Papdi will start flowering at second month itself. You can start harvesting fresh Surti Papdi pods after 45-50 on seed sowing. Harvesting season can continue for very long time as long as plant survives. Nicely packed. Have tried some of the seeds and they germinated quite well excellent success rate.